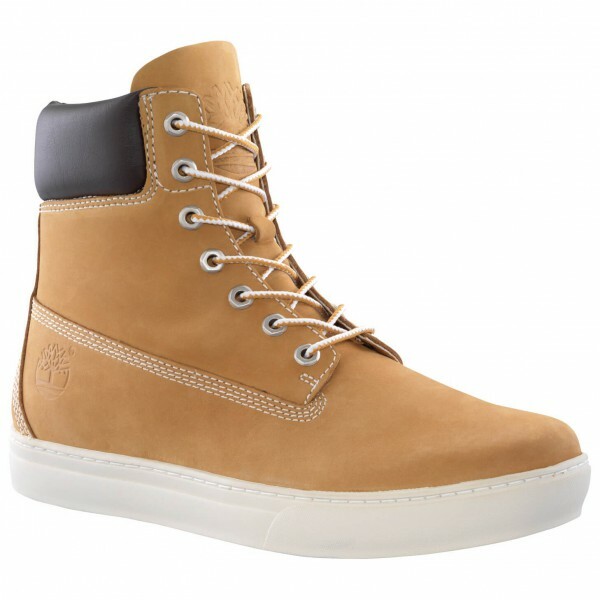 If you like wearing high-tops in between seasons, you'll love the Timberland Newmarket II Cup 6 Inch! This cool shoe is made of reliable materials and boasts a subtle design. The leather used for the upper is durable and built to last, so it's perfect for bad weather. The soft textile lining on the interior makes these shoes exceptionally comfortable to wear. The high cuff will give your foot optimal stability, and the padded ankle area adds to the overall comfort of the shoe. Plus, the shoe has a rubber outsole for traction on several surfaces. With the Timberland Newmarket Ii Cup 6 Inch, you look and feel good no matter where you go!